Close reading! Just the term conjures up visions of hard work for the teacher and the students. 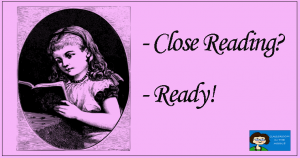 For the teacher – preparing a long, involved lesson. For the students – marking up the text, reading number one, reading number two, reading number three, using text based evidence, etc. 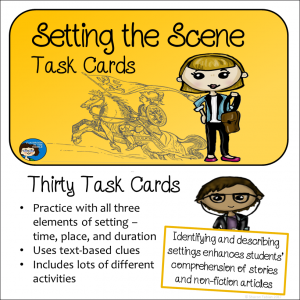 Setting is a story element that teachers often don’t spend much time on, but a quick look at setting can easily be expanded into a closer look for just what details the author used to show us that setting. 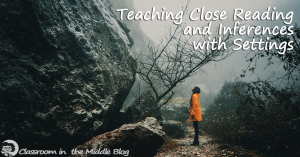 This post is about incorporating a little practice with two important reading skills – close reading and making inferences – into lessons about this story element with a class story or novel. 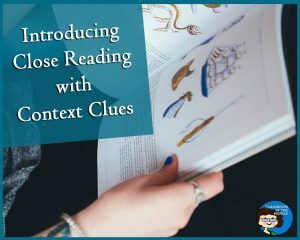 Using context clues and close reading go hand in hand. Students may be used to looking for context clues to define a word, but these little bits of text based evidence can be used for other purposes, too. Close Reading? Ready! 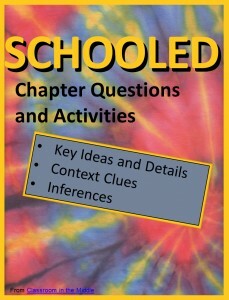 explains what I chose to include in my close reading resources – ready-to-use printables with informational text articles and everything needed for three full readings. Reading is play is . . . a fun activity for special occasions? an end-of-the year activity? 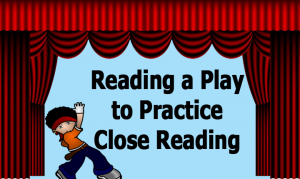 How about a way to practice close reading? 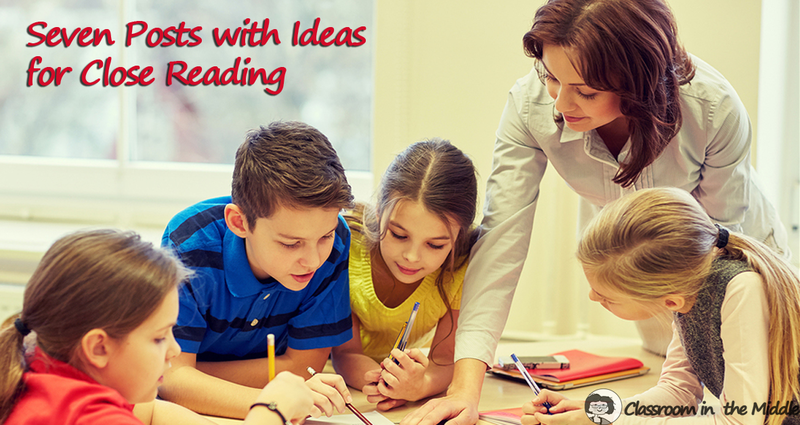 Make the most of this type of reading that kids really enjoy by doing some close reading! 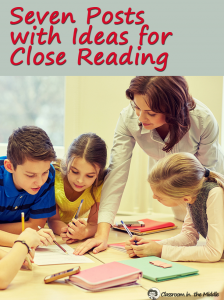 This post presents an idea for an introductory lesson in close reading. 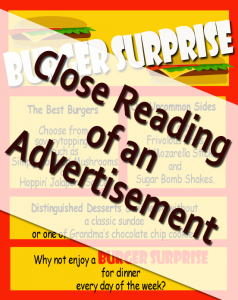 It uses an advertisement for a fast-food restaurant as an illustration of how a reader picks up more details each time he takes another look at a piece of writing. This one includes a free, downloadable close reading chart detailing all of the steps – a good reminder to post for the kids. 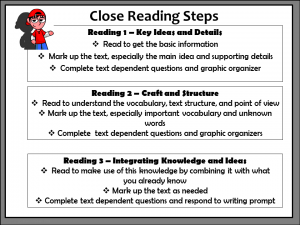 From quick practice using task cards, to specific close reading activities, to novel studies that incorporate close reading, Thinking Skills in Reading Activities explains how I have incorporated close reading into many of the resources at Classroom in the Middle. There is so much that can be said about close reading. Each of these posts expands on just one little aspect or another. Hopefully you will find the list helpful! 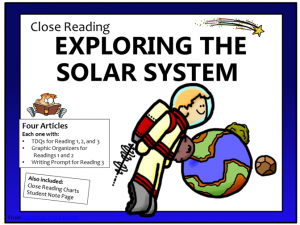 And if you are interested in ready-to-use close reading resources, or reading resources that incorporate close reading along with other skills, check out some of these resources. You will also find more choices in my store.